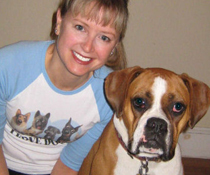 Joy Aldrich, of Joy for Dogs, combines years of experience working with dogs with a background in teaching humans, and is able to not only get desired behavior from dogs, but also make training and behavior modification clear and easy for owners to follow through. 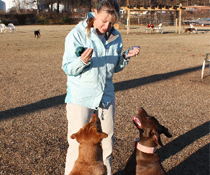 Joy uses the principles of Operant Conditioning to achieve behavior change in dogs. 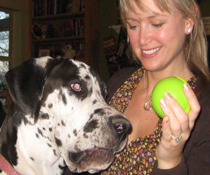 When she first studied these concepts in a dog training course in 2007, she had no idea how useful this knowledge would later become. Operant Conditioning is used in Applied Behavior Analysis, to create therapies for people, especially those with autism, and its effectiveness is backed by decades of research. In 2015, her then 3-year-old son was diagnosed with autism, and began receiving ABA therapy. 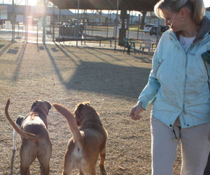 Since then, Joy has learned a great deal from watching and talking with her son’s therapists and BCBAs (Board Certified Behavior Analysts), and continues to study and refine her understanding of the techniques to not only help her son, but to be better able to achieve behavior change in dogs. 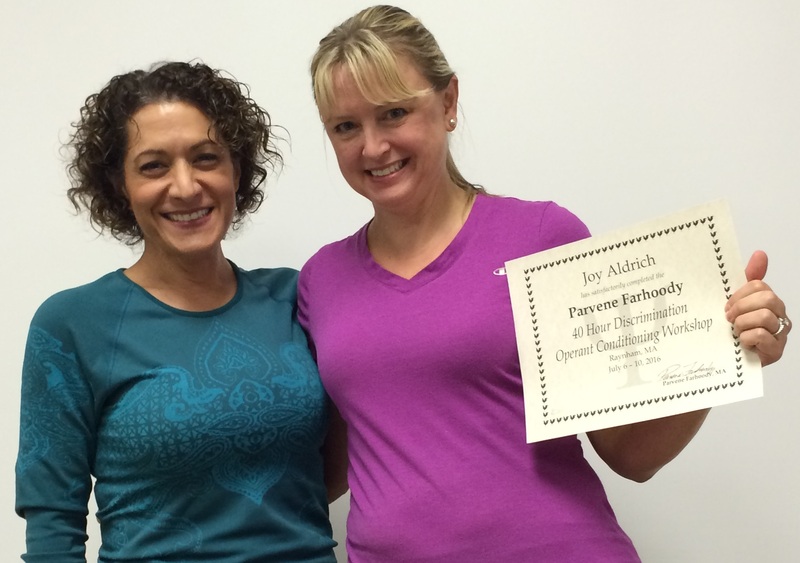 In July 2016, Joy completed Parvene Farhoody’s 40-hour “Chicken Training” Operant Conditioning Workshop, in which participants used clickers to train chickens (the idea being that chickens have extremely fast reflexes, so if one can train a chicken, he or she ought to be able to train any slower animal, such as a dog). “Intense, but extremely educational” is how she describes the experience. She holds a Master’s in English, and previously taught college-level Writing and Critical Thinking as well as English to non-native speakers in Germany.